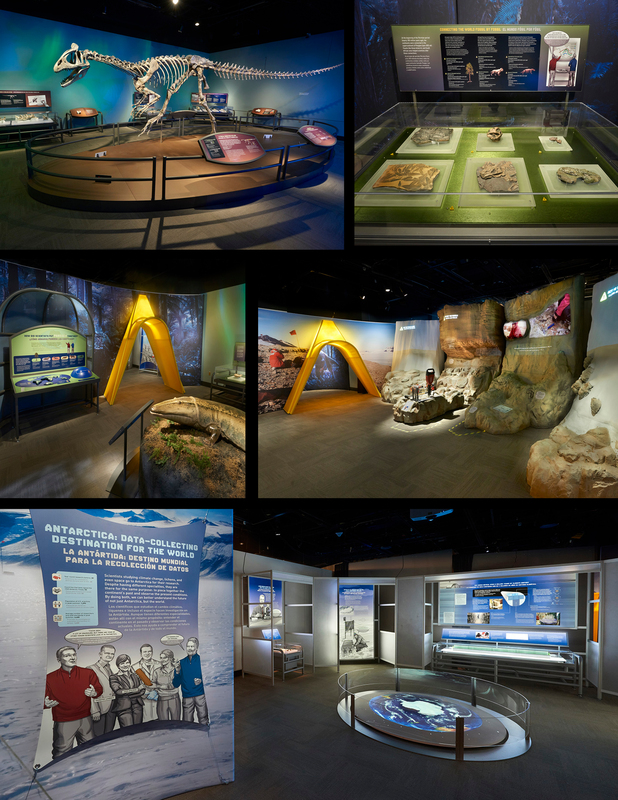 We fabricated 48 individual elements for this traveling exhibition, starting in Chicago at The Field Museum. It included many conservation grade cases some as large as 76” by 82” to display fossilized dinosaur bones from Antarctica. These metal cases with integral desiccant chambers and discrete reader rails were engineered to be extremely strong, capable of holding heavy artifacts as well as withstanding the rigors of traveling to institutions across the United States. Our scenic artists also created replicas of a laboratory, a dig site and the interior of a C-130 cargo plane used to transport the scientists and their discoveries.